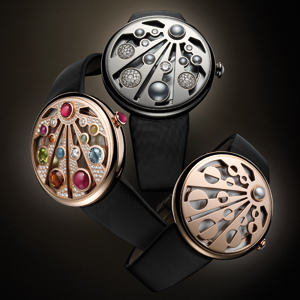 Mediterranean Eden, the latest creation from Bulgari, draws inspiration from the history and culture of the Mediterranean basin. 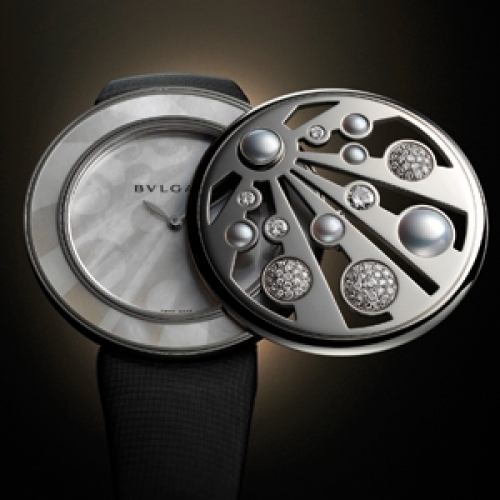 Its subtle construction, at the crossroads of watchmaking and jewellery, is firmly rooted in the heritage of the brand which presents this collection of "mysterious" watches. 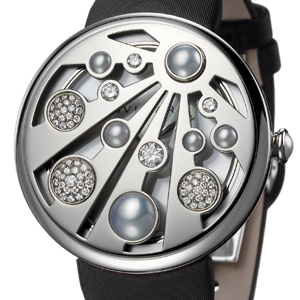 Its pivoting openwork cover, when raised, shows the time on the mother-of-pearl dial which it delicately conceals when closed. 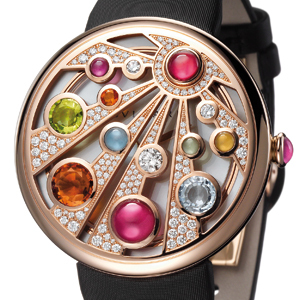 Evoking the warm arabesques of Mediterranean architecture, this collection is proposed in three interpretations, from the simplest version in white gold or pink gold to the most spectacular, in pink gold with a multicoloured cover where 135 diamonds juxtapose ten generously proportioned coloured stones - amethyst, tourmaline, citrine, peridot and topaz – in an original and refined composition as only Bulgari knows how.